That tunnel? It’s getting shorter. After years of hard work, your retirement may finally be in sight. 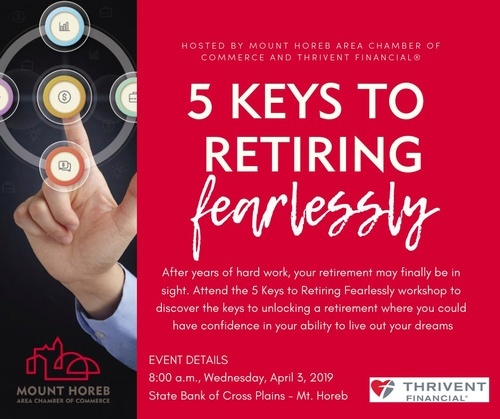 Attend the 5 Keys to Retiring Fearlessly workshop to discover the keys to unlocking a retirement where you could have confidence in your ability to live out your dreams. No cost to attend. No products will be sold.